Gerald Vizenor is Distinguished Professor of American Studies at the University of New Mexico and professor emeritus at the University of California, Berkeley. He is the author of more than twenty books, including Survivance: Narratives of Native Presence , and Manifest Manners: Narratives on Postindian Survivance both published by the University of Nebraska Press. 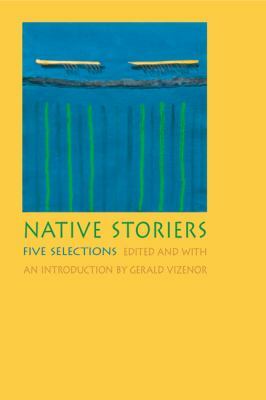 Previous praise for the five works: * Mending Skins by Eric Gansworth Winner of the 2006 Josephine Miles National Literary Award, sponsored by PEN Oakland "What distinguishes this short novel from others is its sharp wit and particular tribal locale, the Tuscarora, in upstate New York. Gansworth's own illustrations preface each section and foreshadow plot events. The characters are so engaging and events intertwined that a longer novel would have been welcome."--P. Jane Hafen, Multicultural Review * Designs of the Night Sky by Diane Glancy "Glancy's short, poetical chapters manage to balance the lyrical against the narrative so as to create a formally complex work in which personal and cultural memory support and vie with the sometimes gritty realities of the present." --Brian Evenson, author of Contagion and Other Stories * Bleed into Me by Stephen Graham Jones Winner of the 2005 Jesse Jones Award for Fiction, sponsored by the Texas Institute of Letters "A collection of gutsy, ethereal stories about being Indian in the 21st Century. These stories are disorienting--and meant to be--as though they bend each eye in a slightly different direction and then ask us to walk some fine, unseeable line." 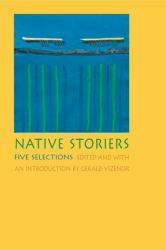 -- Montana Magazine * Hiroshima Bugi: Atomu 57 by Gerald Vizenor "Gerald Vizenor contributes to Nebraska's Native Storiers series a novel that challenges conventional notions of ethnic, cultural, and stylistic purity. In this requiem for the atomic age's forgotten victims, Vizenor offers us another sophisticated, alternately sensitive and ironic meditation on the importance of cross-fertilization and remembrance." -- Review of Contemporary Fiction * Elsie's Business by Frances Washburn "Washburn writes the truest Native American novel. Though she rejects the typical Native subject matter, the structure of her story embraces the deepest Native traditions in their oblique approach to 'truth.'" -- Review of Contemporary Fiction.